The M12 Rivet Tool is the first cordless solution that delivers fast, easy riveting while maintaining performance, durability, and size. 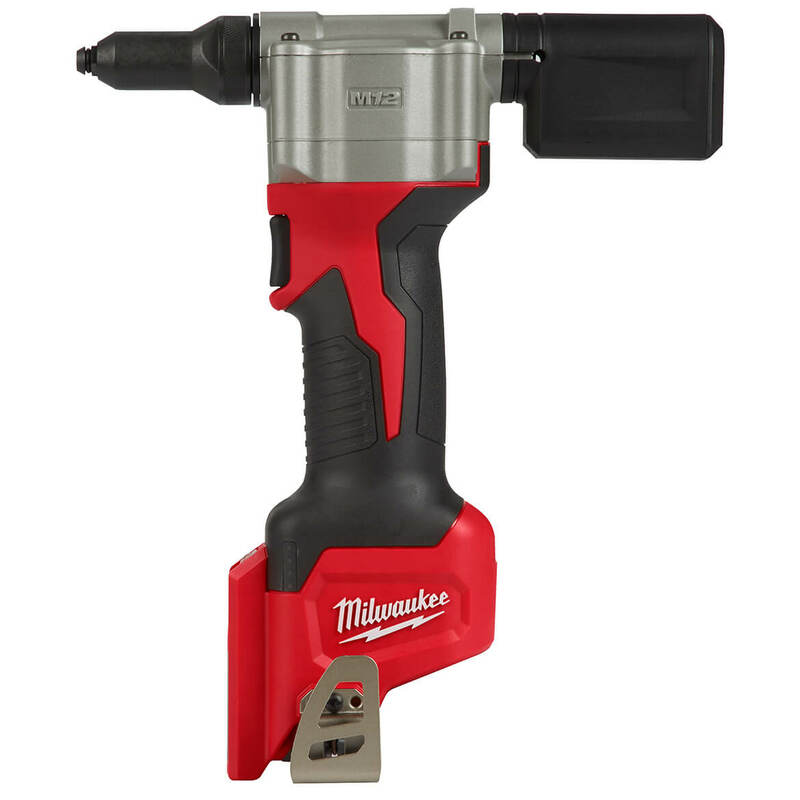 The 2550 can pull up to 250 3/16-Inch stainless steel rivets or 450 1/8-Inch steel rivets on one charge with a 1.5Ah battery, and reduces muscle effort from a hand tool by 65 percent. No compressors or hoses during set up and operation makes this tool a great replacement to pneumatic products. 2X longer life over current cordless solutions delivers greater durability from common job-site conditions and use. This is the most compact cordless rivet tool on the market, measuring only 6.5-Inch in length allowing users more access in tight spaces. The M12 Rivet Tool is part of the M12 battery platform, offering 90+ solutions on one battery system.